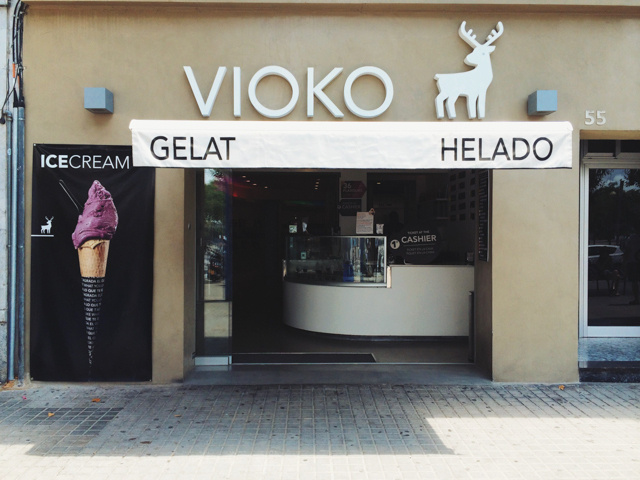 Vioko is located just around the corner of the famous Platja de la Barceloneta beach. It is situated on Passeig de Joan de Borbo, numeró 55. It is the ideal place to go with the family by letting the children decide what they want to ‘shop’. The shop offers plenty of sweet options and has an incredible selection of products. 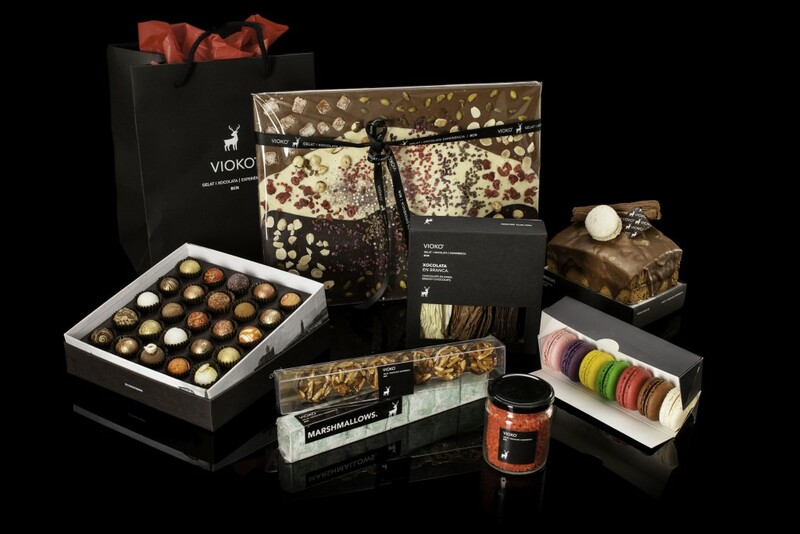 Whenever you like sweet, sour, fruit or just chocolate, Vioko has it all. This unique clothing-store-like shop will take the experience of getting an ice cream to a whole new level. When standing in front of the shop the first thing you notice is a classy poster of an ice cream next to the entrance, instead of an old-school cone standing in front of the ice cream shop. Next thing you notice when walking in the shop is the modern design. Because the whole shop is covered in white, your eyes are instantly fixed on all the delicacies. All the colors of the rainbow are tricking you into buying everything you see. 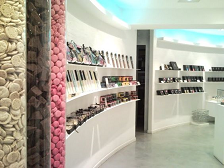 From macarons to cakes, from ice cream to hand crafted chocolate bars. The only challenge you then face is to choose. Fortunately you don’t have to worry about not finding what you like, because the assortment has something for everyone. Pamper yourself and your kids with this treat. After a long day on the beach, a sightseeing tour, a long walk or just because the sun is burning on your face, Vioko is always thé option! And if you don’t have the time to enjoy the treats straight away, they also have several premium ‘goody bags’ filled with presents from heaven.